Home » Dance of Light » History » Philippine Dance » Pinoy brain » Pinoy Trivia » Tradition » What you called the "Dance of light" in Philippines? » What you called the "Dance of light" in Philippines? 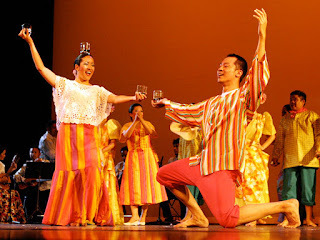 What you called the "Dance of light" in Philippines? Now commonly danced was composed by Col. Antonio R. Buenaventura, a National Artist for Music and a native of Bulacan. He wrote the music sometime in the early 1930’s while teaching at the Conservatory of Music at the University of the Philippines.